You know your room needs an area rug in it, but you are having trouble deciding how big it should be. While going bigger seems the easiest decision, you don't want overwhelm the room leaving your other decor muted. On the flipside of this logicchoosing one that is too small would be a waste of vital floor real estate. Going with a 5'x8' rug is typically an excellent choice for small bedrooms, offices or under coffee tables. 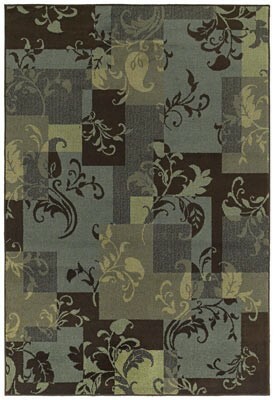 8'x10' area rugs or larger are of course great for larger rooms like dining spaces, master bedrooms, and family rooms. When you are taking measurments for an area rug to go in a dining room, always pull the chairs out from beneath the tables ledge. Sit in the chair and get a feel for how far out it must be pulled to comfortable seat an individual. Now measure from the back legs of the chair in both length and width and add an extra 8" all the way around for the perfect dining table area rug. 4. An equal amount of floor around the area rug is essential to a great design.